there seems to be a light at the end of this tunnel now, i have been talking in the group and off the group with a number of you: Raj, Jerry, Allison, BIll (Meara) and this represents the consolidated output of this group. i have taken editorial liberties to leave some changes out and incorporate others in. 1. 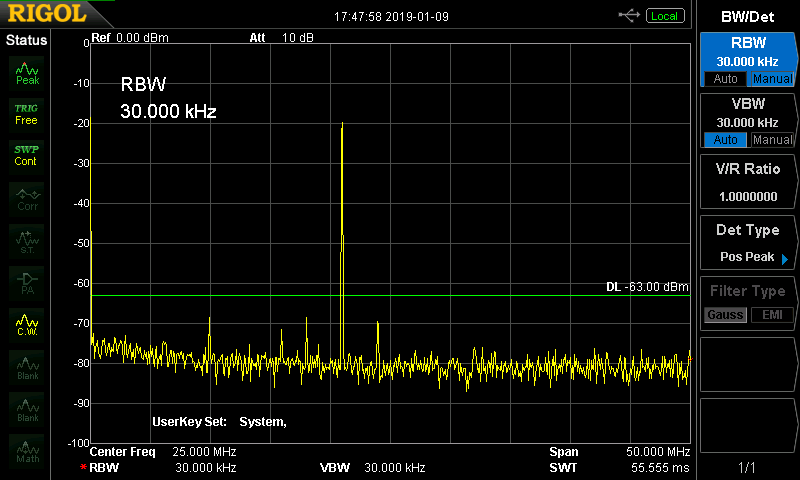 The spurs were cause by the harmonic distortion in the 45 MHz IF amplifier. This resulted in a 90 MHz harmonic that mixed with the local oscillator to produce a spur. 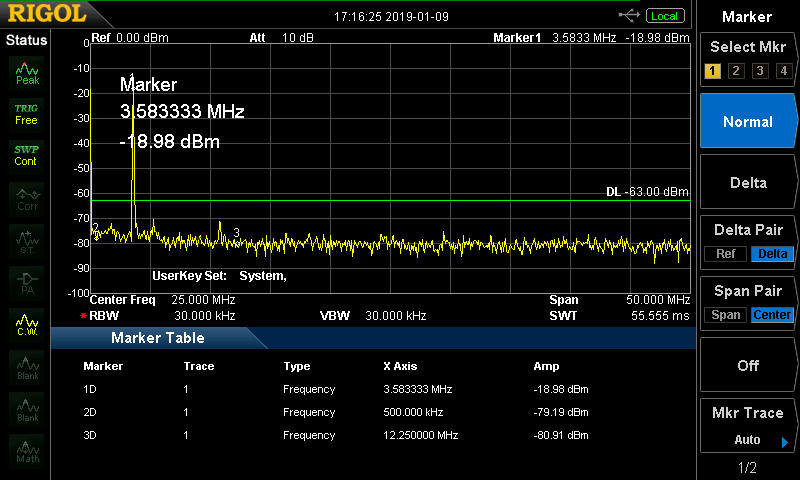 the local oscillator was at 45 Mhz + tuned freq. The spur was as 90 MHz - local oscillator, that is 90 - (45 + tuned freq) = 45 - tuned frequency. Hence for 21 MHz ,we had a spur at 45-21 = 24 MHz, etc. 2. 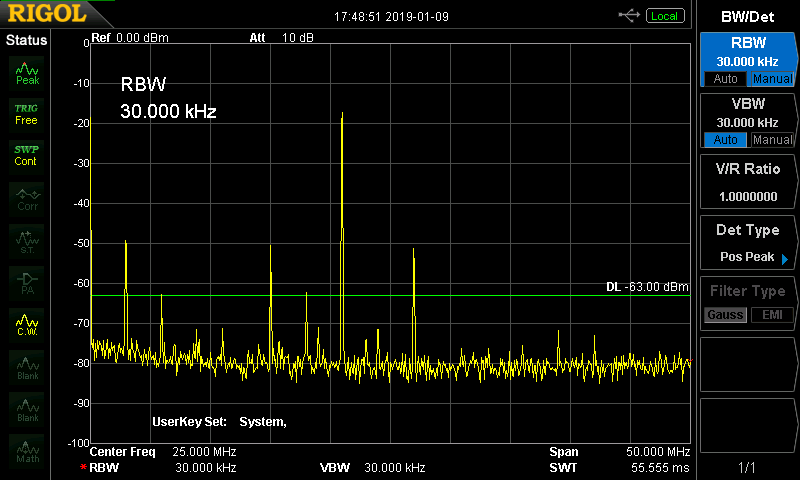 The harmonics at below 14 MHz were due to the bad routing in the LPF relays. Allison provided a simpler and far better option. The unfortunate part is that the existing boards can't do this. The other tragedy is that the way these relays are wired . 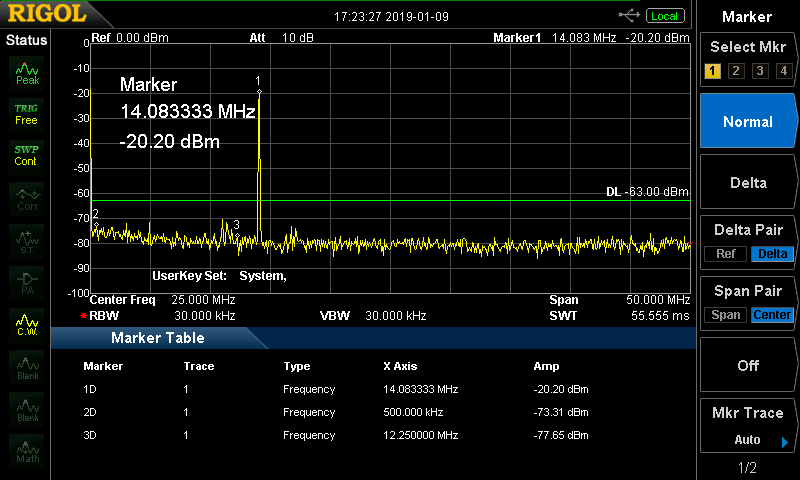 The 28 MHz filter permanantely in the tx output path and the other three LPFs switch in, in series with it. So, the Arduino code for these LPFs is going to be different too. 3. Change of 2nd IF frequency. I am moving the 2nd IF to 11.059 MHz from 12 MHz. This will avoid the frequent problem of having the the 16 mhz oscillator generating spurs inside the IF pass band. The new filter is also a little broader, it is about 2.7 KHz. The audio sounds better, at least I personally prefer it so. Hence, the crystal filters' caps are changed from 100pf to 68 pf. 4. The LM386 returns. This is an unfortunate decision. I am regretting it already. The audio amplifier is now the old frenemy of hams, the LM386. We had to do this because it is the only one that is readily available to manufacture as well as to those who are going to scratch build. This is an open source project that must use easily available components and also strive for a minimum complexity. Using an op-amp with a complementary npn-pnp pair could have worked, but the complexity would have had us to use a bigger board. We wanted to keep the board size same, to allow others to upgrade as well. 5. 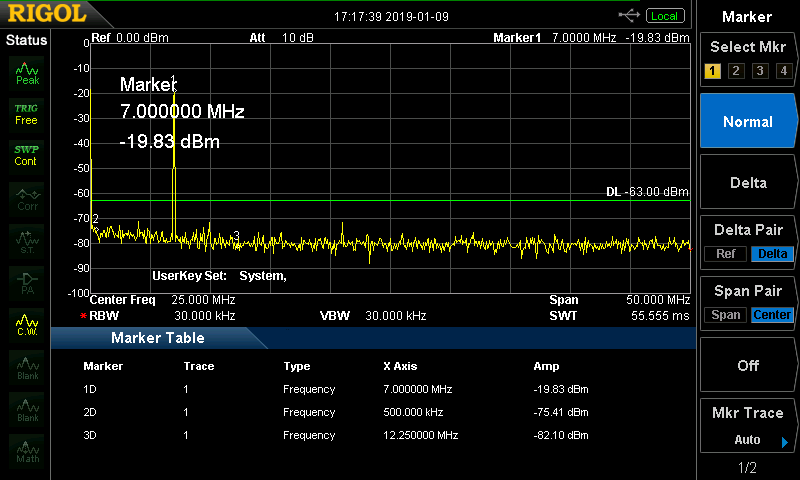 It is vital that the output above 14 Mhz must be kept to 5 watts. Over-driving this rig will certainly lead to the spurs. Check out the captures of 21 MHz. One is with a 5 watts output, the other has it over-driven to 10 watts. It will stay within the legal limits wiht the supplied electret mic. Check out the pictures. The green line across the screen is drawn at -43 dbc, the legal limit. 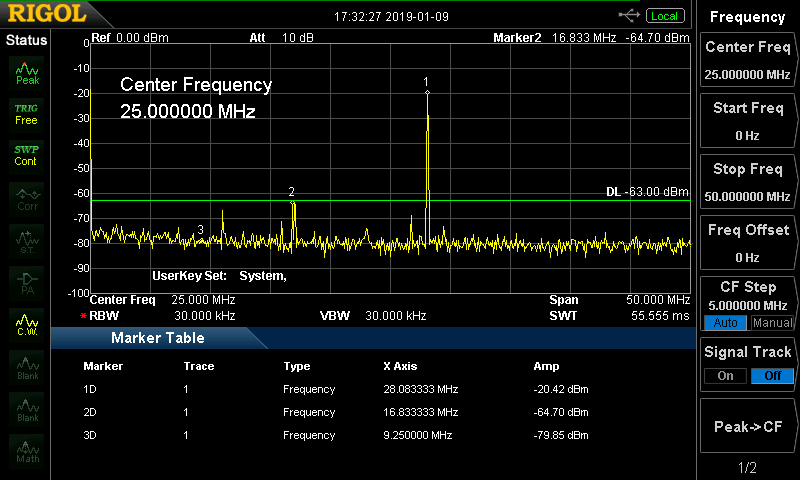 I adjusted the RF attenuator so that the transmitted power stayed at -20dbc. See how the distortion adds to the spurs in the two 21 Mhz captures. If things look good, we will roll with this as v5 board.